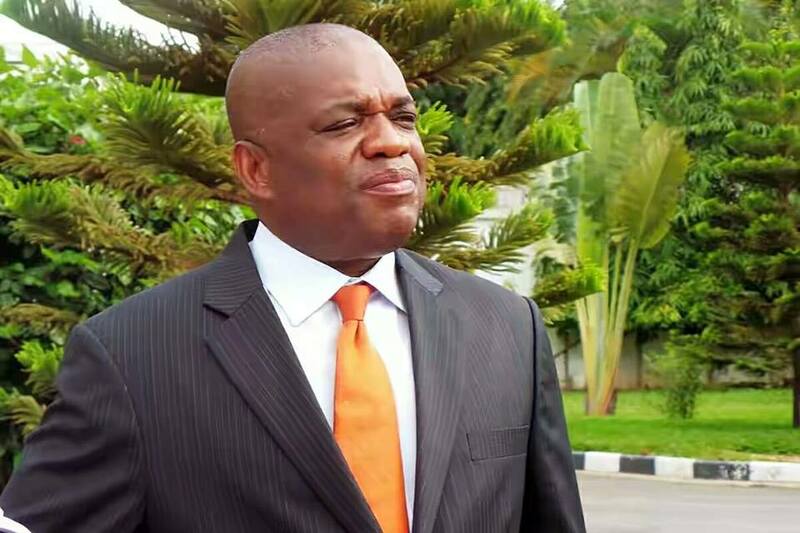 Home PUO OPINION Has ORJI UZOR Kalu Apologized To Abians? Ikechukwu Iroha. 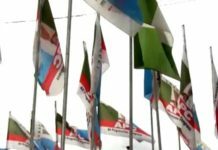 Has ORJI UZOR Kalu Apologized To Abians? Ikechukwu Iroha. 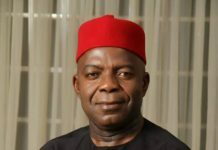 I read the news article credited to the frmer Governor of Abia State, Chief Orji Uzor Kalu, wherein he accused the incumbent Governor of Abia State Dr.Okezie Ikpeazu of not being in charge of his government. OUK went ahead to mention that Ikpeazu still pays attention to Chief T.A.Orji who influences his decision. He also said that President Buhari has built more roads in Nigeria than the State Government. Have you wondered why OUK’s boisterous attribute comes alive each time he is reminded by the court that his #7.2 billion fraud is still pending in their rooms. He must always speak to be noticed and pardoned by the EFCC. 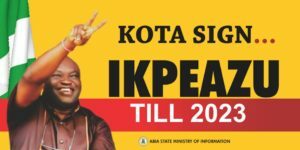 Some of the roads attributed to Dr. Ikpeazu in Abia State are Federal roads that failed to get the attention of the Presidency. Aba road Umuahia, Aba/Owerri road in Aba and Port Harcourt roads are Federal roads that the State government is handling, having considered them too important to the overall success of our made in Aba drive and even development of the State. Abians are comfortable with the standard deployed by the People’s Governor Dr. Okezie Ikpeazu, which comes with drainage and Stone base. OUK has forgotten that it was Ikpeazu that controlled flooding in Aba with his method of building wide drainage and deployment of the celebrated Cement technology that has a lasting life span of over 30 years. 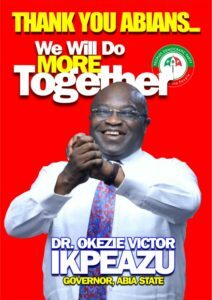 In terms of Education, Abia as at today remains top for three consecutive years. Abia State University has moved to number 30 among State Universities from 90th position. 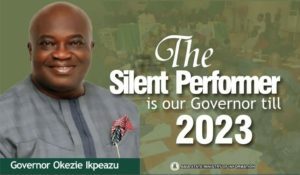 It was Dr. Ikpeazu that rebuilt the Enyimba stadium that he (OUK) fenced and painted without considering building a single toilet in the Stadium. 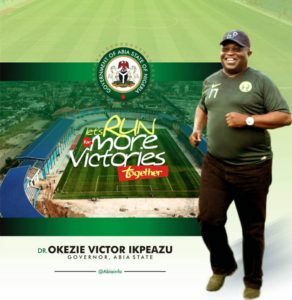 A walk to the Stadium will put shame on his face only that the aim is not to shame him but to remind him that Governor Ikpeazu emphasizes more on standard. OUK on the other hand should show Abians any road he built that is still standing. OUK should not forget in a hurry that Abians still remember his inglorious days as a Governor of Abia, which was characterized by pettiness, diabolism, lack of direction, building of substandard projects, bribery and corruption etc. 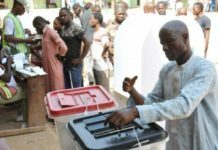 It was during this time that words like Okija Shrine, Igba Egusi, Mama Nweke…were introduced into our political lexicon. In a saner clime, when somebody like OUK who was a Governor of Abia State mounts a podium, he should be talking about how to develop the State. 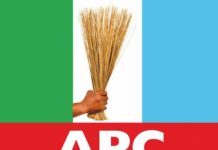 Though such line of discussion may sound strange to many Abians since there is no project anywhere that could be attributed to his regime, that is still standing till date owing to his method of using wheelbarrow and shovel to construct roads with the help of his unregistered money syphoning companies like Slok. 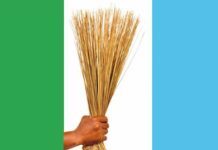 Orji Uzor should not apply any ‘directionless tactics’. Instead of writing long essays, he should rather use the time to visit Ahia Ohuru in Aba and get himself a good material that will make a proper jail cloth. He should pay more attention on how to avoid prison even if it means returning the #7.2 billion he allegedly took from Abia coffers. Instead of making cacophony of noises and struggling for billboard spaces, they mould opinions and lead with ideas while OUK is still toddling and stocking trouble in his home state. Is OUK applying his noise making mechanisms as a strategy for development or evasion of justice ? 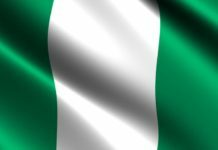 Ikechukwu Iroha writes from Umuahia.